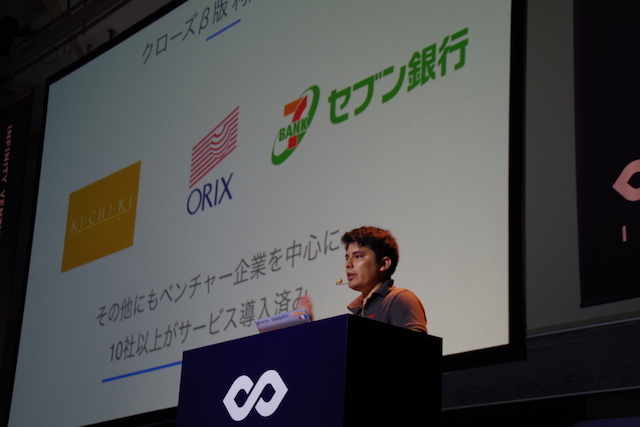 This is a part of our coverage of Infinity Ventures Summit (IVS) 2017 Spring in Kobe. 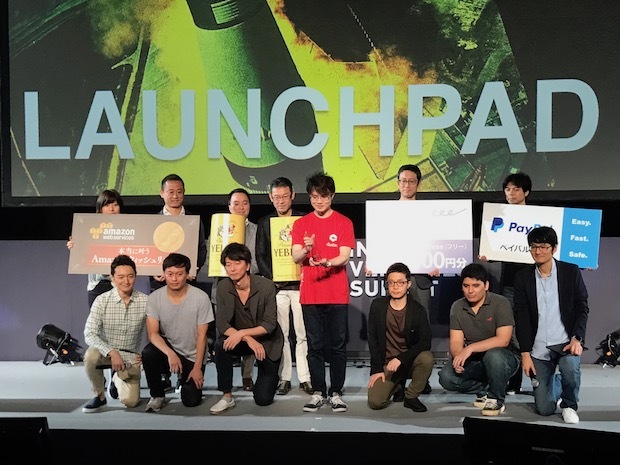 During the 10th edition of Infinity Venture Summit in Kobe, a semi-annual conference hosted by renowned startup-focused investment fund Infinity Venture Partners (IVP), the LaunchPad startup pitch competition was held on June 7th, where Tokyo-based Cluster developing the VR social room app won the top prize. 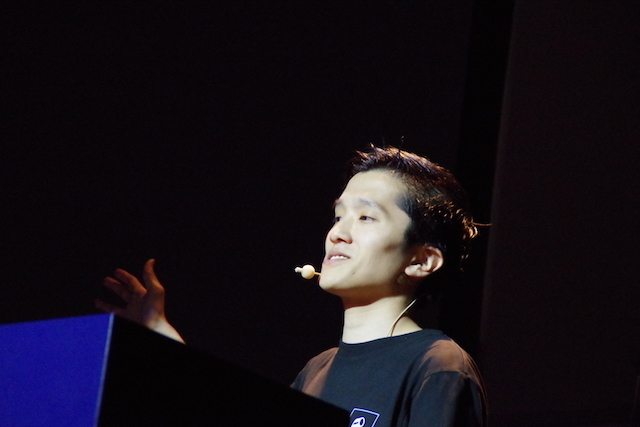 In addition, well-known Japanese serial entrepreneur Takafumi Horie took part as a special commentator. Cluster provides a social VR (virtual reality) service under the same name, enabling large scale event in VR space gathering many users. By sharing URL, only invited users are allowed to enter a VR room and to share the experience there. The users can view the same virtual screen as other users in the VR room. The screen can display game plays or YouTube videos, so that users can discuss or share experiences while viewing the same video contents or sports matches. iNAIL is an auto-nail art print service. The conventional nail art applying procedures at salons require the time and cost to design in handwriting by nail artists; on the other hand, this service provides smart nail art printing by the exclusive nail printer only within 15 seconds in the same method as 3D printer. The firm plans to expand its service at hair salons, nail salons, or esthetic salons. Due to the high reputation for Japanese nail arts, the firm pursues global development eagerly as well. 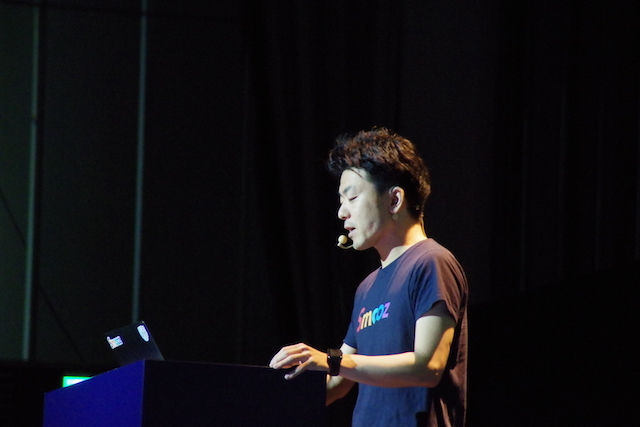 Town WiFi (formerly provided with the name of WiFiShare) is a mobile app enabling smart devices to connect automatically to private and free WiFi services to reduce the data communication fee. 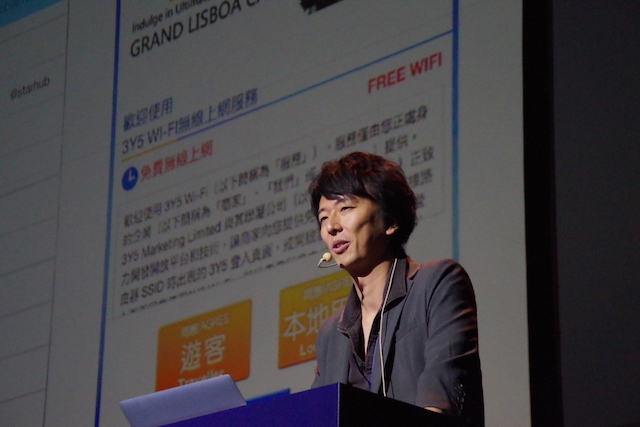 Besides Japan, the firm provides its auto-WiFi logon service in 200 locations in the US, Korea, Taiwan, or Macau. The firm aims to monetize by the push advertising when logging on and the sales commission for charged WiFi services within the app. Albert Okamura born in Peru, once encountered a scene where his friend was forcibly deported to Peru due to irregularities upon acquiring his visa, and that motivated Okamura to solve the problem of visa acquisition. Since Japan’s immigration inspectors are just public employees who basically only speak Japanese and the application documents are written in Japanese, it is difficult for foreigners who cannot understand Japanese to communicate using this language. Okamura had himself worked for Tokyo Regional Immigration Bureau, and been involved in visa-issuance work. Leveraging the experience obtained there, he developed Residence, now known as One Visa. The service displays questions that are required for terms utilized upon visa acquisition in the users’ native language, and outputs them as a form written in Japanese. 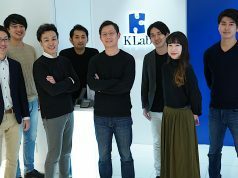 The firm aims to monetize by credit clearance service for foreigners based on the registered information and launched the open beta version on June 6th. The firm was born out from Tech Lab Paak 4th batch. 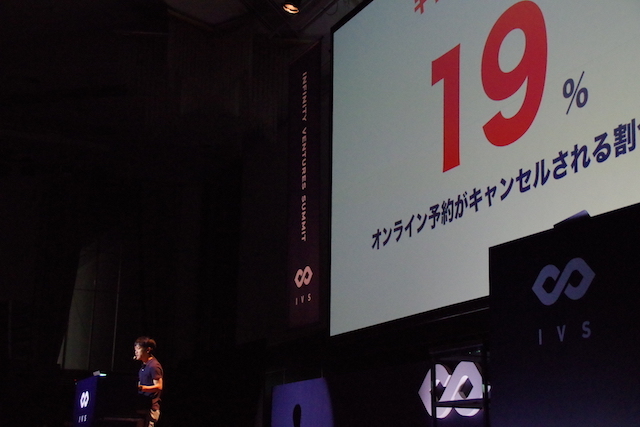 Hyper8, also known for services such as Mespo or Tabeniiku, offers a new internet service called LION Project. LION Project is a Uber-like service for hostess bars, allowing girls to be called up to parties after events. 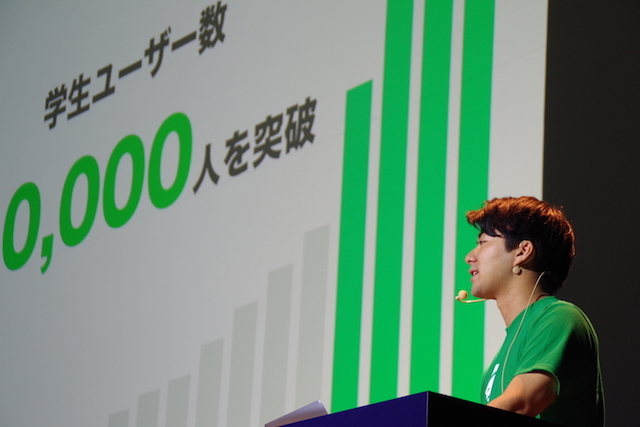 The service shows the amount purchased by each user is 27,000 yen (about $240) and the repeat ratio within 30 days is 68%, with 40% month-on-month growth ratio since its launch back this February. More than 820 girls have registered the service. Astool developed a “chain-reaction” type web browser Smooz available for iOS. Through text extraction, morpheme analysis, ranking and related term extraction for the current web page, it recommends search terms which will be required next by the user or suggests bookmarking to him / her by recognizing and reviewing reactions on social media. Player! 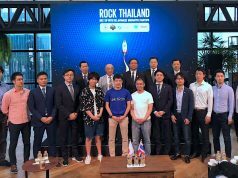 is a sports-centric social network app which provides information of ongoing status or results of live sports matches and allows users to share the excitement with other users viewing the same match in real-time. 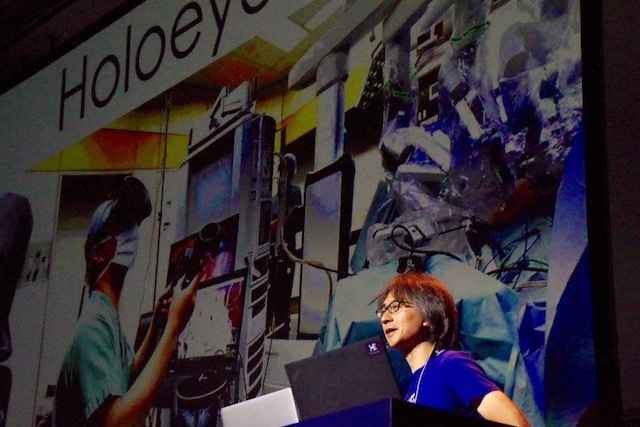 HoloEyes aims to make an information revolution in the medical field using VR. Its technology will be helpful for the medical world by sharing information of human bodies in 3DVR form. The medical VR database will be constructed through collection of CT scan data and forming 3D human body models, then accumulating such data. If a search on the terms “male, 60s, prostate cancer” is made, 3D images of matched cases will be output and doctors can utilize them for diagnosis references of similar cases or training upon surgical operations. 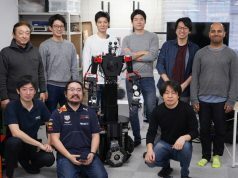 The team expects a business model providing VR viewers for hospitals and selling collected data, after obtaining patients’ consent, to medical colleges or pharmaceutical companies. 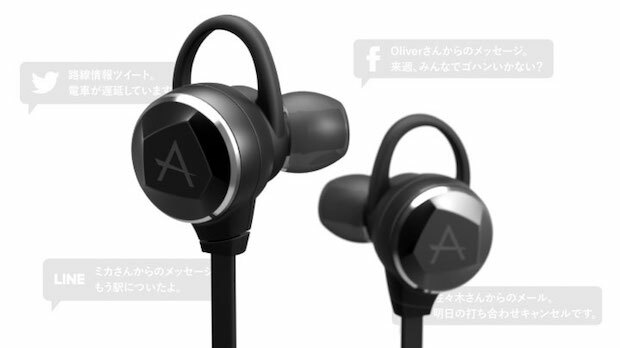 APlay is a Bluetooth earphone having a voice assistant function capable of conveying smartphone notifications by voices. It notifies Twitter timelines or LINE messages while listening to music or telephone conversation. Cansell is a P2P (peer-to-peer) commerce platform for non-refundable accommodation reservation rights between guest users. In Cansell, exhibitor users who want to cancel reservations can sell accommodation rights for users who look for hotels. The exhibitor users receive reselling money after deducting the commission for Cansell and can save the cancellation cost compared with paying the cancellation cost to travel agents or hotels; on the other hand, the purchaser users can make reservations in comparatively cheaper price. 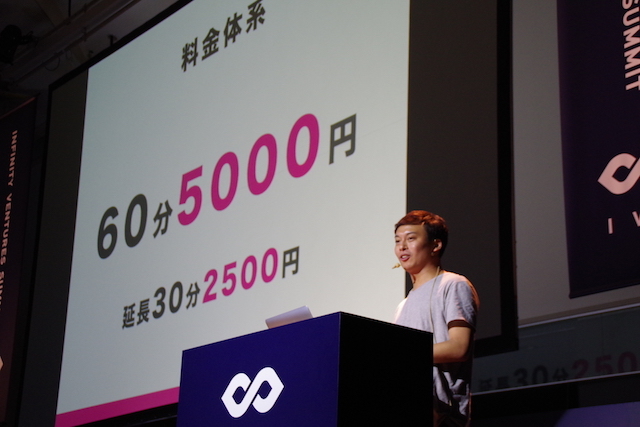 Matcher is an “alumni visit” matching service for Japanese job hunting activities. With the watchword “do me a favor in return for advising about job hunting?”, the service connects students who want to consult about job hunting and businesspeople who have favor to ask on the web only by one-click. For students, there is a merit that they can easily visit employees currently working at intended companies other than graduates of the university. For companies, they can use the service as an effective method for approaching incoming employees. Matcher, launched last February, acquired 10,000 users as of this April and has been adopted by more than 100 companies. 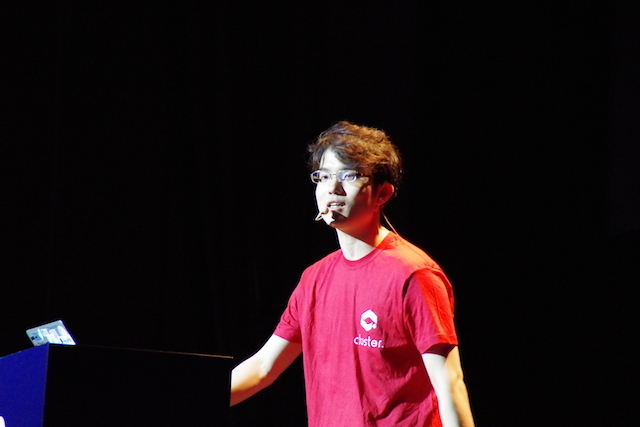 Scouty is a AI-powered human resource matching service, especially focused on engineers. Monitoring engineers’ information on social media and crawling open data on the web, the service integrates personal information about 800,000 engineers. It predicts the probability of retirement utilizing AI analysis for corrected data and matches them for the best companies. For people potentially changing jobs, Scouty offers his / her profile email based on the template. Receptionist provided by Delighted is a visitor reception service available for iPad. With this app, users can handle visitors using chat tool such as Chatwork or Slack. The app can also link with schedule / customer management system or labor management platform. When a visitor is going to be late for an appointment, he / she can easily contact the intended person in charge via the app in a single operation. At a reception desk, any meeting procedure can be automated just by waving smartphone over the Receptionist app on iPad. Delighted plans to launch the app for smartphones in the future.